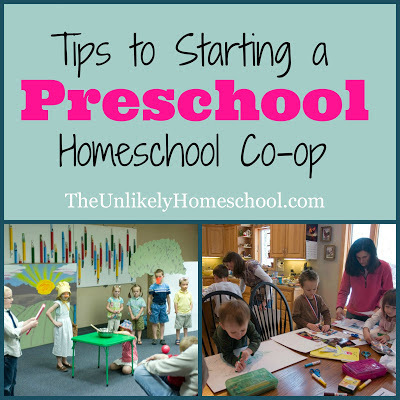 I'm assuming that if you've joined me for Part 2 in my five-day long series on Starting a Preschool Co-op, that you are seriously considering launching a group. Not to state the obvious, but a co-op is not a co-op if you and your children are the only participants. In order to co-operate with other families, you have to FIND other families to join you. 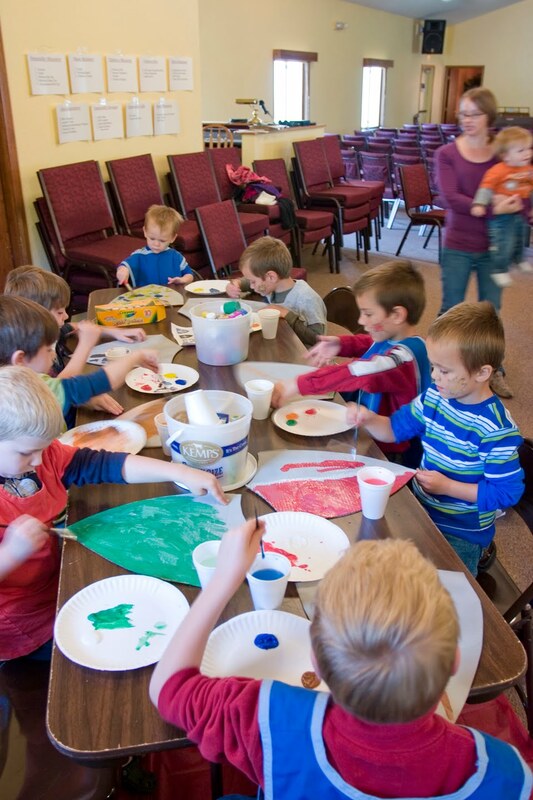 And although the number of families who choose the unconventional route of homeschooling continues to climb throughout the US and abroad, finding co-operative participants is perhaps the biggest hurdle to establishing a new preschool group. 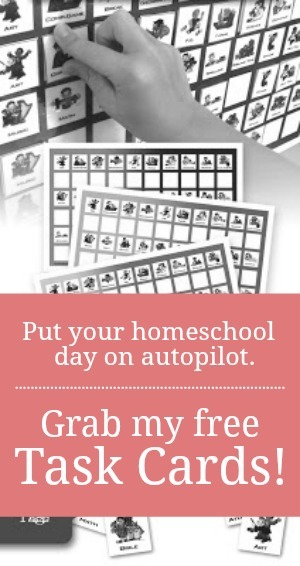 Today I'd like to give you a few questions to ponder as you seek out families to join you in your homeschooling journey. Mull them over and consider them in light of your very specific circumstances. And most importantly, cover them in prayer. I can not stress this enough! God knows exactly what relationships you and your children will need to help bolster and support you in your homeschooling. Trust that He will provide the right families at just the right time. Will you be an open or a closed group? This is a group that allows any interested families to join. There may be a simple registration or screening process, but prospective members are almost always embraced. This is a group that does not advertise when they are seeking new members. Families are welcomed by invitation only. Current members often cast a vote to determine whether a prospective family should be welcomed. What criteria, if any, would determine membership? Whether you wish to be an open or closed group, here are a few thoughts to consider before welcoming new mothers and their children. This is by no means an exhaustive list and may not always apply to each and every family. What are her reasons for homeschooling and are they similar to yours? Does she share your same faith beliefs? What are the ages of her children? Do you foresee your children establishing healthy relationships with her children? What strengths/gifts does she have that would benefit the entire group? Would you trust her alone with your children? How will you advertise for members? The best way to invite members to a closed group is by approaching each family that appears to meet most/all of your predetermined criteria. Examine the relationships and social circles that you currently have and begin to inquire about whether these individuals might be considering home educating. Present your tentative plans for a co-op to one or two families and ask them to begin praying about a prospective collaboration. Once one mother/family has agreed to join with you, she will need to be included in the selection process of the next family. How many families will participate? Obviously, the answer to this question relies heavily on the space that you intend to use for your co-op meetings as well as the number of children each family has. But, location and family size are not the only factors to consider when determining an appropriate number of participants. There are obviously PROS and CONS of having both a big or a small group. Here are just a few. Big groups offer many different classes each semester/year because they have the population and manpower to do so. Many talents and gifts are represented in a larger group which may offer each child a more-enriching learning experience. More families will provide a wider range of potential relationships for mothers and children. Big groups are often organized/led by a council and so each individual family has less input into the planning and operations of the group. Big groups usually have a very orderly schedule/agenda which is not always very conducive for families with many little ones. Big groups often have a bigger budget and can delegate the teaching responsibility to outside individuals allowing each mother to enjoy some much-needed respite. Relationships NOT activities are often the focus in a smaller group. If one or more members have to miss a meeting due to illness or other commitments, it affects the entire co-op. Smaller groups are often more flexible because the communication process is easier. In the event that the teacher is sick, she only has to make a handful of phone calls. Co-op meetings can be postponed and rescheduled more easily. The "venue" is usually a home or a one-room meeting area. Each mother often has many responsibilities in order to maintain a successful meeting/year. Each mother is able to provide input on the planning and operations of the group. Touring a one-room schoolhouse and homestead. 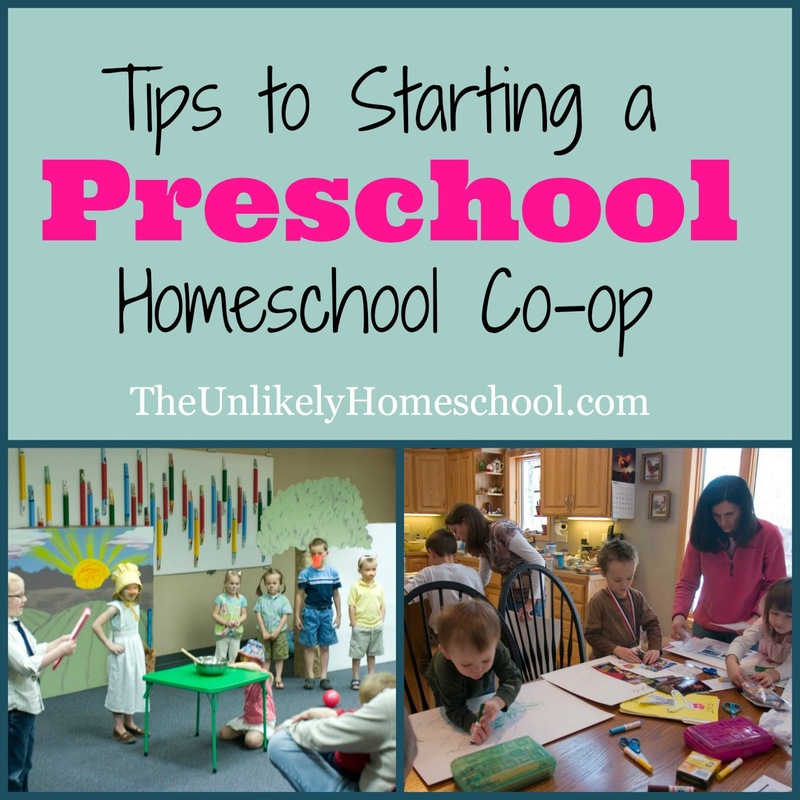 Finding families to join you in a preschool homeschool co-op is the first and most important task in launching a new group. As most of the CORE learning for homeschooling is done at home...ALONE or with a few siblings....co-operative learning is generally less about WHAT you are studying, and more about WHO you are studying it with. On that note, let me encourage you to seek moms of like-mind who can come alongside and walk parallel with you in your journey and whose kids can do the same for your kids.